The Direct Impact Fund is an independent, registered 501(c)(3) non-profit organization that focuses on providing immediate and direct assistance to those affected by natural and man-made disasters. I am a local vineyard and winery owner who lives right off the Silverado Trail. 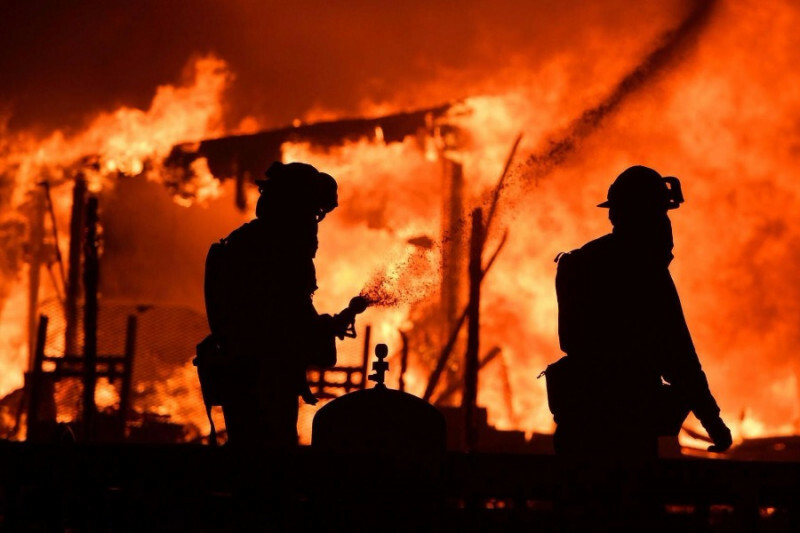 I like many owe a lot to the surrounding communities (Lake, Sonoma and Napa) and am trying to bring together a number of respected voices to help pull together donations to help in the relief efforts. Here is some video of the yountville hills east of Silverado Trail to the north of where I live in Napa. I will continue to update people on this effort and the people who have gotten behind it along the way. 25+ anonymous people plus the ones listed below donated $1,000 -$10,000+ toward the relief and recovery effort: Noah Sanders, Ruby Hill Winery, Southern Smoke, Rubino Estates Winery, Chris Collins, Temple Schauble, Southern Smoke, Laura and Geoffrey Rehnert, Law Firm of Best Best & Krieger LLP, Courtney Burton, JD Fine and Company, Chris Larsen, Tonko House, Christopher Scoggins, Alex Alshvang, Shane Keller, Sandi Kochhar, David Clark, Clay Kirk, Dieter Seelig, Laura Leedham, Valerie Vashchenko, Morissa Rothman, John Hill, Michael Garrett, Kayla Baumgardner, Britt Peterson, Victory Martial Arts, Bhaskar Ghosh, Cynthia Livingston, John zipfel, Ruby Hill Winery, Susan Tunnell, James Stanford, Marc Aubin, Tricia Hellman Gibbs, Gordon Miller, Lisa Gansky, Pat House, Julie Lepinard, Sandi Kochhar, Michael Davis, Irene Michael, Kerry Egan, Sujo Offield, Priscilla Tsai, Sandra Fouladi, Roger Klene, Bay laurel nursery, Anabella Naguit, Britt Stroem, Gary Campanella, Vihara Sad Paramita, Southern Smoke, Maury Blackman. But I also want to acknowledge that this has truly been a huge group effort with small businesses and organizations mobilizing like: Dr. Dave's Daycare & Grooming, a local band, Studio S Broadway dance, lil baby lulu, PJ Plumbing or Plainfield Central High School raising funds. Tomorrow another local business in Danville, Bridges Restaurant, is putting on an over the top 5 course wine dinner for over 100 people and donating 100% of the proceeds to the many causes we are serving. I think it's already sold out, but just wanted to send some recognition out to them and the many other individuals and businesses who have reached out and made the relief, recover and rebuild effort possible. Bridges manager Randy Negi and his staff have really gone all out and I'm excited to toast to a great cause with all of them tomorrow. Thank you again for all of your thoughts and wonderful support on behalf of my county and the surrounding ones, as well as the people most impacted by the north bay fires. 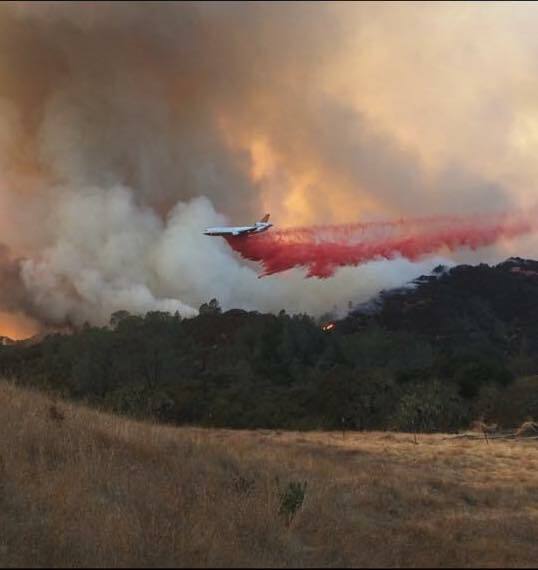 3 airplanes and 6 helicopters helped to contain the fires on the ridge above the Mayacamas mountains between Sonoma and Napa. Thank you Cal Fire. These videos were taken from ONEHOPE's Vineyard property located in the Rutherford AVA right on St Helena Hwy on 10/14/17. Yesterday in district 4. About 20 air drops and at one point 6 helicopters taking water from our lake. Thanks Cal Fire. Photo courtesy of George Moskowite.